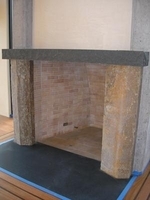 Of all the types of stone identified with Pacific Stonescape, basalt columns and bowls are at the top of the list. 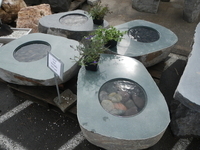 We carry a huge selection of these magnificent and unique specimen stones and select many of them to be drilled for water feature fountains. Columns are spectacular in water settings but are also quite popular as sculptural elements in the landscape, driveway gate posts, monuments, parking blocks and benches. 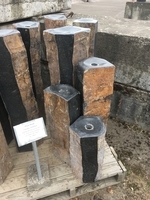 Naturally dished columns make wonderful birdbaths, still basins or active bubblers and we always have a good supply of these popular specimens in sizes that are manageable by the average homeowner without the use of heavy equipment for placement - although the smallest sizes sell almost as soon as they hit the ground in our yards!